Can you introduce yourself and describe your role on the project? How long have you been in the gaming industry and what drew you to your current position? My name is Dave Hagewood and I am the founder and development director at Psyonix. 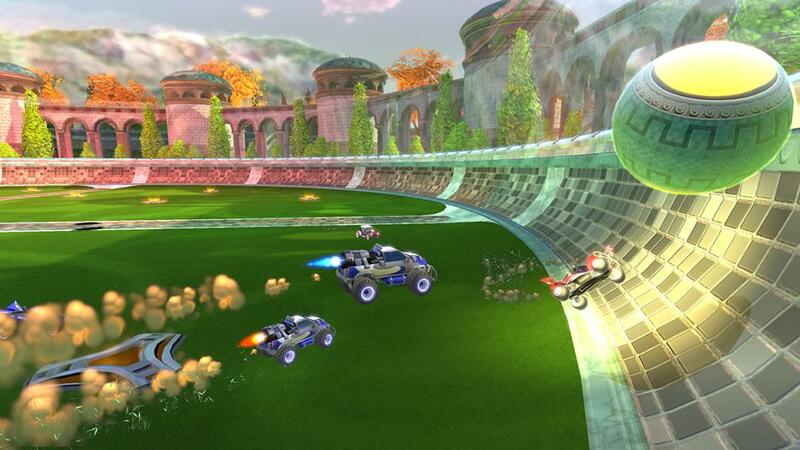 I actually started Psyonix eight years ago with the goal of releasing our own game based on an original IP. What’s the history behind your company? Why did you decide to make video games instead of going into the exciting world of business application development? Funny you should ask, because we actually did start out in the world of business application development! I had a small amount of funding from a web hosting company I started with my wife and was branching it into software development. However, I quickly realized it wasn’t exciting at all and decided to go full force toward my dream of running a game studio. The crazy part was that I had no experience in the game industry at all. I really just wanted to wake up every day and feel passionate about what I was working on. What I didn’t realize was that it would take almost four years to get anything going at all given how much we were starting from scratch. Our first big break occurred when we started making game mods as a way to pitch ideas to publishers. Epic Games became interested in a mod we created for Unreal Tournament 2003 and hired us to develop it as a gametype for Unreal Tournament 2004. That gametype was the highly successful Onslaught mode. Since that time, we’ve been leveraging our expertise in the Unreal Engine technology as an outsourcing studio. We’ve been working on games for both Epic and their licensees while pursuing our goal of releasing our own game in-between projects. Your first game is Supersonic Acrobatic Rocket-Powered Battle-Cars; what’s the story with the length of name of the game? What alternative names did you have for the game? For a while we considered calling it SocCar. We still use that name around the office sometimes but I’m not sure it would work out too well in Europe. Part of the reason for the long name is that we wanted to let gamers know right off the bat that we are willing to take risks and break some rules. We made this game on our own time and our own dollar. We also made it exactly how we wanted to without pressure from anyone for it to fit into the standard issue box. I think the name reflects that mentality in a way. The game is also all about unabashed fun. If we thought something would be fun, we added it. The game rules may be like soccer, but the experience is about super fast cars, rocket blasting through the air, flipping and flying and smashing into things. 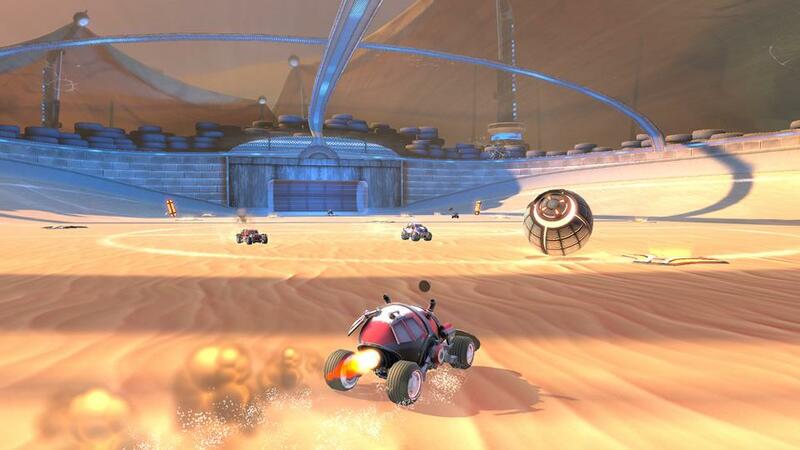 What’s the gist the game and how did you come up with the concept of a rocket-powered battle-car? I always thought there was a lack of jumping cars in games so we started with the concept of cars that can jump into the air with total air control. We quickly added the rocket booster aspect and found we had an unprecedented degree of control for a driving game. We actually prototyped three or four games based on this concept – racing, platformer, combat, etc. 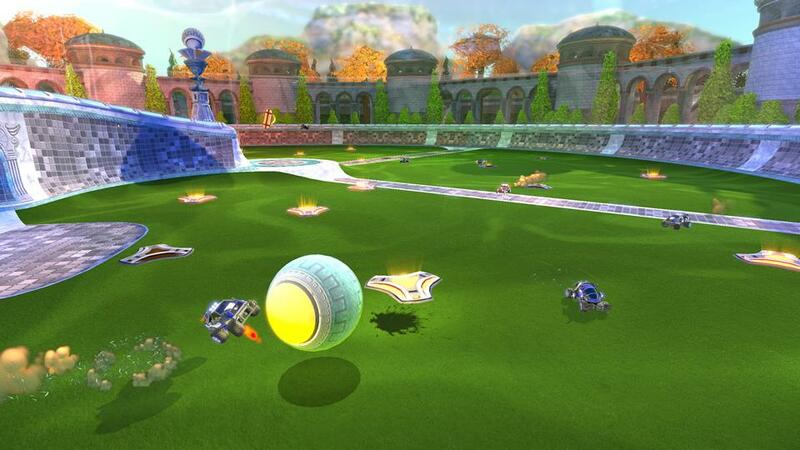 The soccer mode started as something we thought would just be a good mini-game. That was until we started playing it. It quickly became an obsession around the office. We were having problems getting people to stop playing it and actually work on the game. No one wanted to do anything but make it better and better. We realized this was the game we had to focus on. 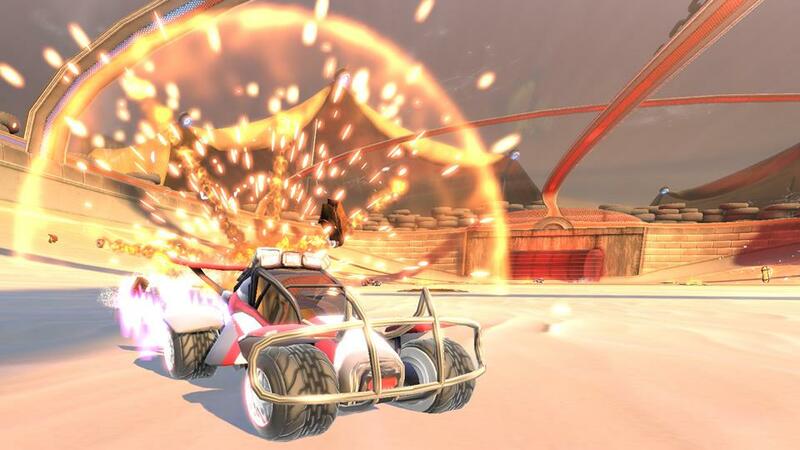 Even if people thought we were crazy for making soccer with cars into a full game, we knew we had stumbled upon something great. The object of the game is simply to knock the ball in the goal. 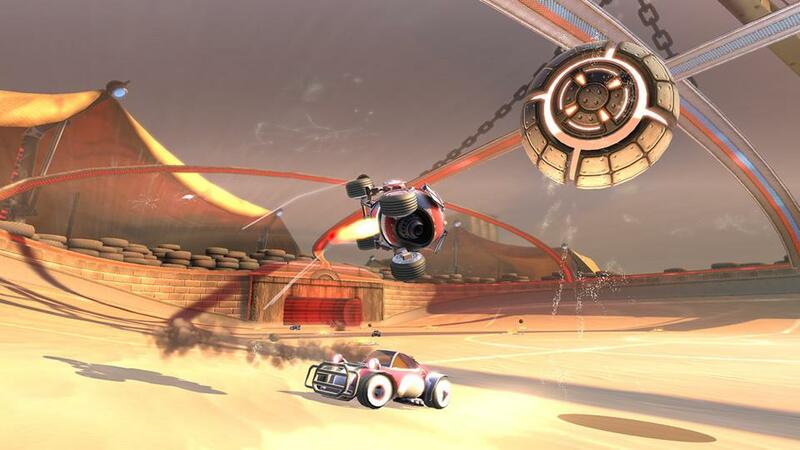 You drive around picking up boost which you can use to accelerate to supersonic speed or even fly into the air. When you hit another car at supersonic speed they are obliterated. They respawn immediately back on their side of the field, but the game is so fast paced that losing your position for even few seconds can be a major factor. What gets you addicted to the game is the feeling of scoring. It isn’t like you just pressed a button to take a shot. When you score you really earn it as you have to orient your vehicle perfectly to reflect the ball directly into the goal. It may sound hard but you have so many ways to get your vehicle in the right position. Not only can you jump and fly but you can dodge in all four directions.How customizable will the vehicles be? Is there a set list of options that are available to everyone or will you earn upgrades as you play the game? How many vehicles/weapons are shipping with the game? You can choose the style of your car and a paint job. Each of the seven vehicles has slightly different handling characteristics but for the most part all cars are equal on the playing field. We designed the game to be skill-driven where all players have an even advantage. How to the physics in the game impact the gameplay? What kind of design challenges do physics engines create? Everything is physics driven, from the cars, to the ball, to the debris thrown out from demolishes. Personally, I feel that physics engines do more to reduce design challenges than create them. We decide the physics parameters of the game objects and the rest is taken care of. In the end you get a game that has a kind of purity to it where you don’t rely on the game rules to dictate what is going to happen. If you can find a creative way to score goals using the physics system, even if we have never seen or thought of it before, then you can still do it. The game seems multiplayer focused, what different multiplayer modes will SARBPC ship with the game? What will anti-social shut-ins who don’t play online get out of the game? We have an amazing army of AI opponents to go up against. They are surprisingly good at the game and you can play a custom match or take them on in the Tournament. You can also play one of the twenty mini-games we included. Some of the games help you get better at the game such as shoot-outs and goal keeping. We also have games that just mix-up the gameplay like playing with a cube instead of a ball and one where time slows down the closer you get to the ball. If you don’t care for online but you still want some multiplayer action you can also play split-screen. Players will be able to upload videos to YouTube, what kinds of videos will players be able to upload and how is the system incorporated into the game? We spent a lot of time on the system because there are so many great moments that occur in the game and we wanted to capture them all. At the end of any match you can choose to save the replay of the game. Then you can go into our editor system where you can replay the match and move the camera anywhere you like. There is a timeline where you can scrub forward and backward in time and even set keypoints. You can also change the game speed to run fast or in slomo, change the camera to lock to any object, zoom in and out, and record any footage you want. After you finish you can output the video to the PlayStation(R)3 hard drive or directly to YouTube. Is there any reason this game is a PSN exclusive and not coming out on Xbox Live Arcade? Any chance the game will make the jump in the future? Sony has been great to work with and we love the platform. They were very open to working with us as a small team and allowing us to self-publish with the degree of freedom we wanted. Anything is possible in the future but right now we are focusing all our efforts on PSN.What was your approach to the trophies in the game? Do you have a personal favorite and are there ones that demonstrate a player’s l33tness? We made about half of them based on the single player experience and about half on the multiplayer experience. The most difficult is scoring a total of 500 goals in ranked matches but the one of my favorites is scoring a goal in reverse. We’ve seen game updates to other PSN titles that have added a variety of new features, do you have any plans to expand the game in the future? Could we see Super Sonic Acrobatic Rocket-Powered Battle Motorcycles in the future or new multiplayer modes? Absolutely. We really hope to develop a community around the game and actually let them dictate where we go in the future. We have a forum setup for this on our site at http://www.battle-cars.com. We also have some DLC arenas already in production that we plan to release for free. The game is going to be tracking statistics for players, what details can we expect to see online? Will I be able to see the stats of my friends and enemies? Will it track stats at the team level or just on an individual basis? The answer to all of that is yes. We track everything from goals scored to number of ball touches. You can see your own stats and friends as well as everyone else. We also have a very cool team system where you can match up with your friends and actually register a team name online. When you play as that team it will match you against other teams based on your rank and you can follow the team progress on a special leaderboard. Anything that we missed that you think people should know about your game? We are releasing a demo on the same day as the game so if you aren’t sure yet, give it a try! You can even play online matches.